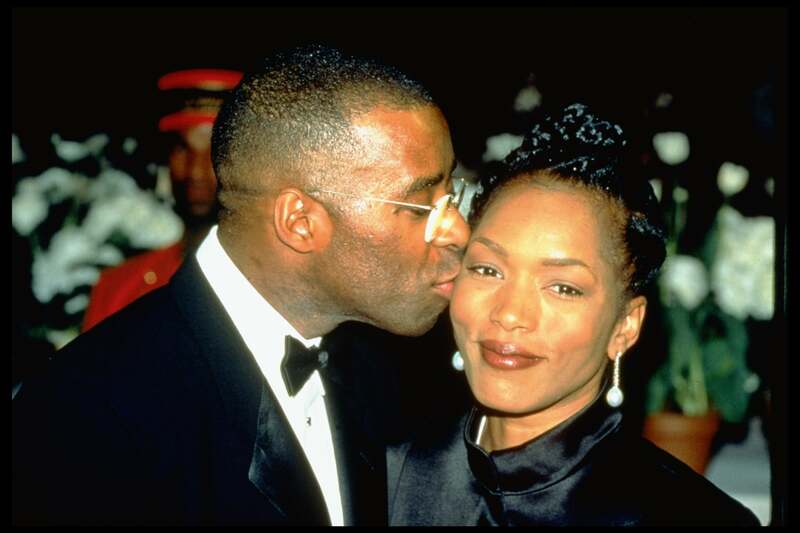 Angela Bassett and Courtney B. Vance will be celebrating 20 years of marriage this October, and the couple has long been a shining example of black love in Hollywood (as well as a shining example of how black doesn’t crack). While many would assume that the two met on the set of a film or through famous friends, Angela and Courtney’s initial encounter happened way back in the ’80s, when they were both enrolled in one of the country’s most prestigious acting programs. Courtney and Angela first met while studying at Yale School of Drama – fellow alums include Meryl Streep, Liev Schreiber, and Lupita Nyong’o – and ran in the same circles as students. They became best friends, and eventually their bond grew deeper and blossomed into a romance. Angela graduated in 1983 with a master of fine arts degree, and Courtney followed with the same honor in 1986. They tied the knot on Oct. 12, 1997, and after struggling to have children for a handful of years, they welcomed twins, son Slater and daughter Bronwyn, via surrogate in 2006. In addition to building a family, Angela and Courtney have worked together on a number of rather dramatic projects: the 1995 political drama Panther; the 2003 slave documentary Unchained Memories; a 2005 production of His Girl Friday at the Guthrie Theater in Minneapolis; and 2008’s crime thriller Nothing But the Truth. They even authored a book together, Friends: a Love Story in 2007. We especially love seeing these two supporting each other on the red carpet at high-profile events. 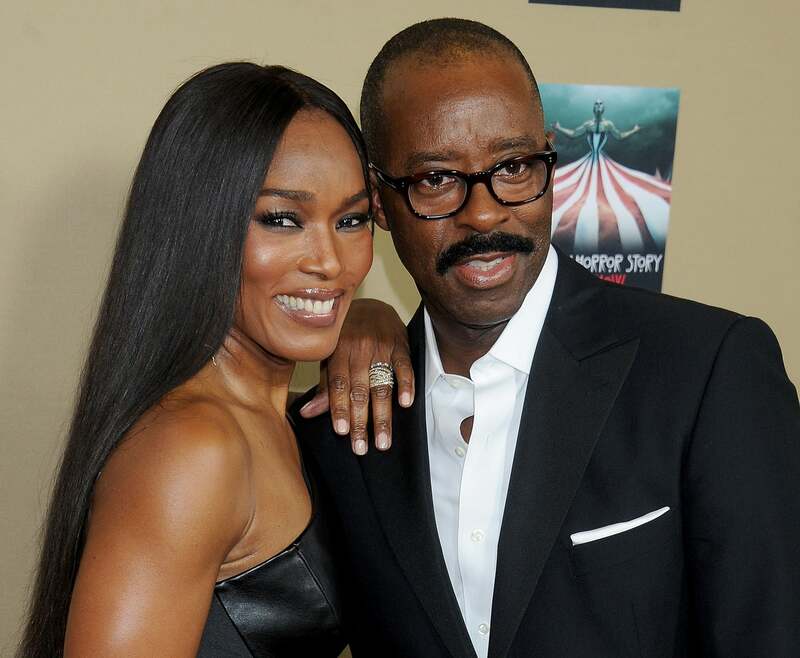 Courtney was by his wife’s side when she was nominated for an Oscar and won a Golden Globe in 1994 for her role as Tina Turner in What’s Love Got to Do With It?, and Angela was filled with pride watching her man take home an Emmy and Critics’ Choice Award for his amazing performance as Johnny Cochran in American Crime Story: The People v. OJ Simpson earlier this year. Prince William and Kate Middleton are coming up on their sixth anniversary on April 29. While there are plenty of details about their wedding ceremony and the presents they received, not much is known about the royal couple’s reception other than the fact that Ellie Goulding performed – that is, until now. To celebrate Will and Kate’s special milestone, we’re highlighting six songs that played on their big day. Kristen Bell and Dax Shepard have celebrity crushes just like everyone else, and the adorable couple was happy to reveal the famous object of their affections to Ellen DeGeneres on Thursday. After hilariously discussing Kristen’s plunging neckline at the Golden Globes, the Bad Moms actress revealed that she almost lost it when she bumped into The Night Of star Riz Ahmed at the award show, who she finds “irresistible.” Luckily Dax was happy to play her wing man. “I said to him ‘Hey, my wife has a crush on you, I’d like to introduce you to her,” Dax explained, before Kristen took over. “I walked up, and just out of my mouth came, ‘I find you very attractive,'” she joked. “He was like, ‘Is this a trick, or is something on the table? '” Here’s hoping they cast Riz in their next music video. pop music emergency!! rita ora just played a snippet of her new music!